Following the start of production back in July, BMW will soon begin deliveries of the new i3s featuring increased battery pack sizes — allowing for an NEDC-certified range of more than 300 kilometers (185 miles) per full charge. new lawsuit alleges that BMW i3 electric cars can suddenly slow down when their battery power is low, potentially putting passengers in dangerous situations. (Reuters) – A U.S. owner of a BMW i3 has filed a lawsuit claiming that the German automaker’s electric vehicle can experience a sudden loss of power when a feature designed to nearly double its driving range is deployed. 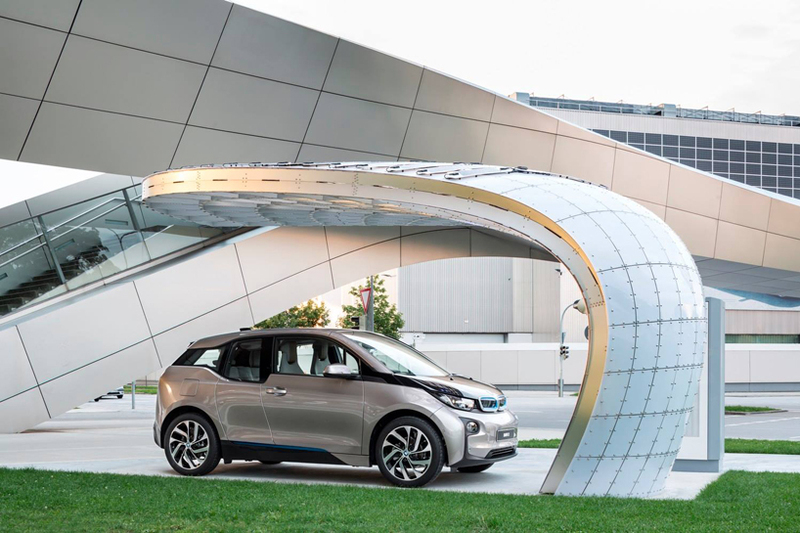 When the BMW i3 launched in the U.S., BMW promised a Level 2 charging rate of over 7.0 kW. It’s a pretty standard part of the car-launch cycle: The earliest buyers pay sticker price or more, and then the discounting starts to set in. Accordingly, with the BMW i3 electric car on the market for five months now, we’re starting to see more aggressive marketing on the part of dealers. It’s a problem facing all electric car manufacturers: if you want to sell high-powered electric cars, the charging infrastructure must be in place but nobody wants to provide that infrastructure until the cars are there to use it. Last week BMW South Africa announced a partnership with Schneider Electric to make both happen simultaneously. The sales breakdown isn’t that important to us (yes, the REx version accounts for over 50% of sales in Germany). However, the low level of total sales definitely hits our radar. The BMW i3 surpassed the goals put forward for it by BMW for the first half of 2014, according to a recent statement from the high-end car manufacturer. In total, more than 5,000 of the designed-for-use-in-the-city EVs have been sold so far this year. Just a few days ago it emerged that the next-generation Audi R8 e-tron could utilise wireless charging. Now BMW has confirmed that it is working on wireless or inductive charging for the i3 and i8 as well as future plug-in models. The pointing, and then the sun-shielding hand above his eyes as he gawked at the car in front, couldn’t be missed from my vantage point, glancing in the rear-view mirror while stuck in traffic. 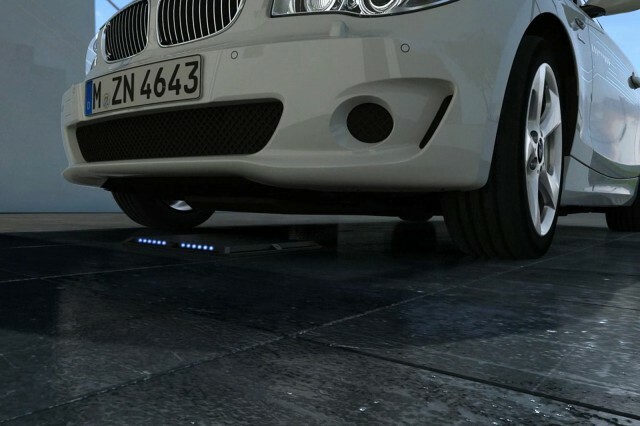 The German based automaker BMW is planning to offer wireless charging for the i3 and i8 in the future. Car companies are taking it seriously and it’s not just because Tesla motors are making headlines every time Elon Musk blows his nose, there’s a desire for cheaper, greener motoring out there. Torque News’ exclusive poll reveals that buyers of the newest electric vehicle, the BMW i3, are not who BMW predicts will buy the car, and what they trade in does not fit the gas guzzler to green car narrative. BMW New Zealand revealed the future of sustainable personal mobility in Auckland today, with the national premiere of the all-new BMW i3 electric car. Assembled guests had the opportunity to see the generous proportions and experience the practicality of the new model for themselves, with the BMW i3 ‘open for business’ as part of its local debut. The new BMW i3 will save owners money due to a very low cost of maintenance, something not all popular EVs can offer. We told you about Ford’s efforts to make a solar carport for its plug-in hybrid vehicles, and now, BMW DesignWorksUSA built a solar carport of its own. The BMW i3 BEV and REx has received a price tag in Australia. How’s $69,900 sound for the REx? Or $63,990 for the regular all-electric version? In US dollars that works out to be $64,700 and $59,300 respectively. Just days ahead of going on sale and with the first shipment of cars already waiting on the docks, the all-electric 2014 BMW i3 EV has been given its official fuel economy ratings by the EPA. At 124 MPGe, the BMW i3 is the most efficient car on sale in the U.S. today. The first ever all-electric BMW i3 finally arrived on US shores. But if you were hoping to drive away with one anytime soon, you’re out of luck. The first – and so far ONLY unit – was sold Friday afternoon at Herb Chambers BMW of Boston. Sorry to be the bearer of bad news! BMW chief executive Norbert Reithofer has revealed that both the electric i3 and plug-in hybrid i8 models are oversubscribed, with demand exceeding current production capacity. The use of carbon fiber in the frame of the BMW i3 has many worried about high repair costs. BMW gives us an inside look at why it won’t be so bad. The BMW i3 will be only the third electric car to be sold in Australia when it arrives in showrooms by the end of the year. BMW launches electric car locally, wants taxpayers to foot $10,000 of its $64,000 price. Automakers are always trying to find new ways to make their cars look cheaper to buy — and Tesla is no exception. But what happens when you take other plug-in cars and use the same Tesla logic to advertise them? Scared off by high BMW i3 lease prices? Teslanomics will make them seem far better!